Demand for free courses in English as a second language continues to rise, as public funding for such programs steadily dwindles. Waiting lists for classes can be as long as two years for non-English speakers hoping for better jobs or who simply want to feel more confident performing day-to-day tasks. Rob Sheppard witnesses this struggle on a daily basis as the senior director for adult education programs at the nonprofit Quincy Asian Resources Inc. Out of frustration, Sheppard was inspired to create Ginseng, an online English school that will charge market-rate tuition to some students, using the money to subsidize class slots for those who can’t afford to pay. Sheppard recently spoke with the Globe about his new venture and why he is moving to Asia to make it happen. 1. Sheppard has worked in both for-profit and nonprofit English-language programs. He says they both fall short of meeting the overwhelming demand from low-income populations. For-profits can be expensive and tend to cater to highly educated international students trying to enroll in American graduate programs. Nonprofits have a logjam of applicants, most of whom are looking for jobs where they can speak English for the first time. 2. Sheppard, 33, plans to fund Ginseng himself as it gets it off the ground. 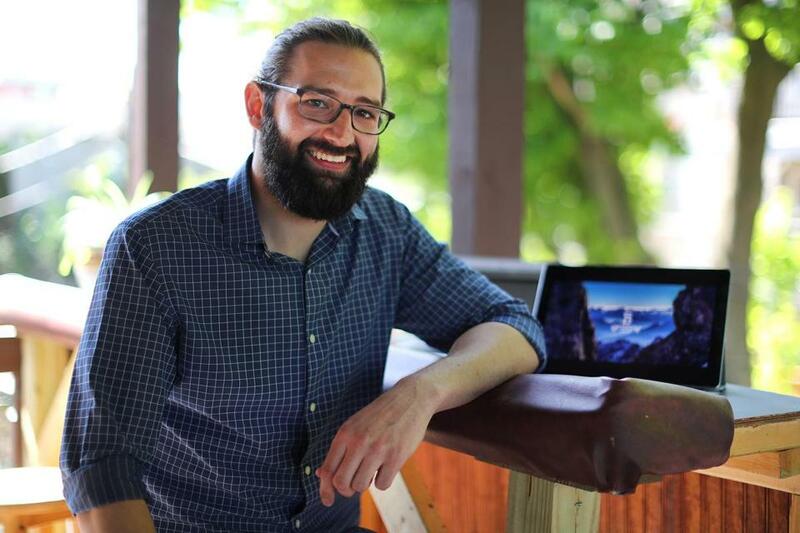 To cut his own cost of living while launching the online school, he plans on spending a month in several key Asian cities, starting with Shanghai, where demand for English classes is high and where he said the average American can get by on $20 a day. At the same time, he’ll reduce his leadership role at Quincy Asian Resources, but continue to write grants for the nonprofit. Enrollment for Ginseng is expected to begin in September. Students will get electronic textbook materials from major publishers, and then receive instruction in a virtual classroom by way of video conferencing. 3. Sheppard’s passion for teaching English came about as a bit of happenstance. After graduating from Stonehill College, Sheppard planned on going to law school. Looking for gap-year opportunities, Sheppard came across an ad on Craigslist from a company seeking people to teach English to middle-schoolers in South Korea. 4. He took on the job as director of adult-education programs at Quincy Asian Resources after becoming frustrated with the for-profit model of teaching English. 5. Sheppard, who grew up in Hull, said changing his career trajectory gave him the opportunity to better understand the everyday struggles of immigrants and other non-English speakers. He’s even picked up a little bit of Chinese and Spanish, which he uses daily at work.